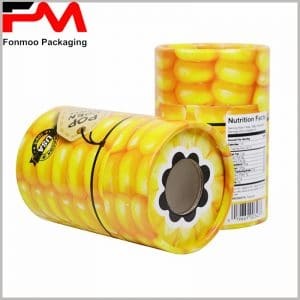 If you want to customize tube boxes packaging for your products to improve the unfavorable position in sales, the first thing to consider is to look for powerful packaging suppliers as collaborators. As a professional tube boxes packaging manufacturer, each process is very strict, through high-quality round boxes package, so that the product display more perfect. In many styles, you can choose pure background color, or color printing; packaging size and design is completely customized by you, because only you know best about your product. 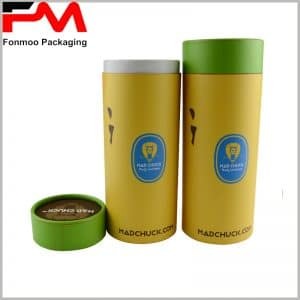 Solid color packaging background is rare, especially in black cylinder packaging, because there are fewer things to show, which leads to consumers not understanding the product and brand depth. However, as a black color, the visual impact cannot be ignored. For the simple packaging design style, although there is less information contained in the appearance, the development trend of packaging design is toward the development of simple style, and more and more consumers prefer the package of simple design. This package uses cardboard as a raw material, simple design style, but the use of black linen paper as a paper, criss-cross stripes, delicate feel, increased the uniqueness of the packaging. The edge of the top of the tube packaging, without any crease marks, is a basic requirement for a qualified product package.